This entry was posted on February 6, 2014 by Risto. It was filed under Landscape and was tagged with 85/1.2, canon eos 5d, finland, Helsinki, landscapes, My blogs and photo gallery, photography, winter. Gorgeous photo. 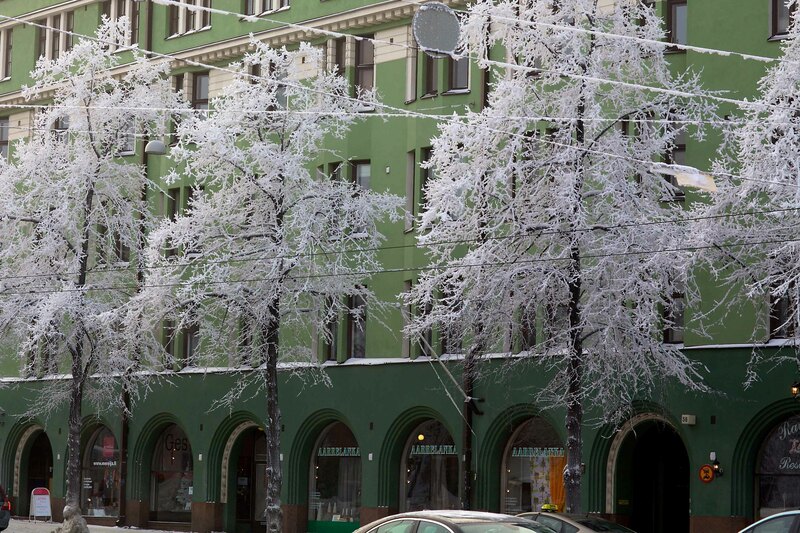 Love the contrast of green building and crystal white trees. Thanks for sharing. Thanks! Was a very special day when all trees were covered by frost. Does really not happen often.